With only 5g of carbs and 80 calories per serving, Simply Natural is SPIRU-TEIN’s Unsweetened Protein Shake series suitable for both low-carb and low-calorie diets. 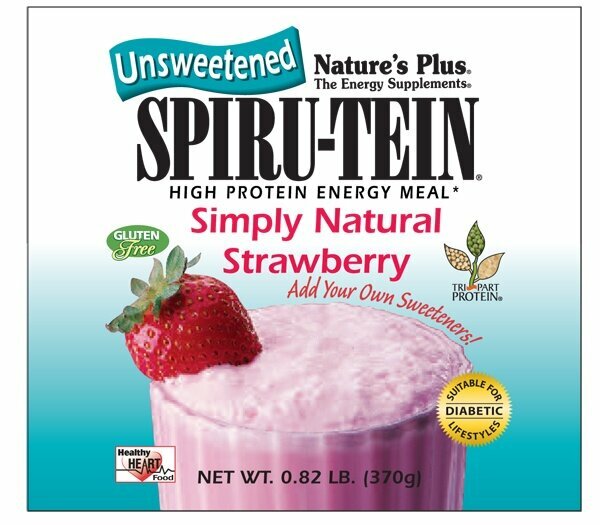 High in energy, rich in flavor and power packed nutrition – that’s SPIRU-TEIN! This superior quality plant-based protein is an excellent meal replacement enhanced with benefits of spirulina, vitamins, minerals, diet aids, enzymes and fiber. 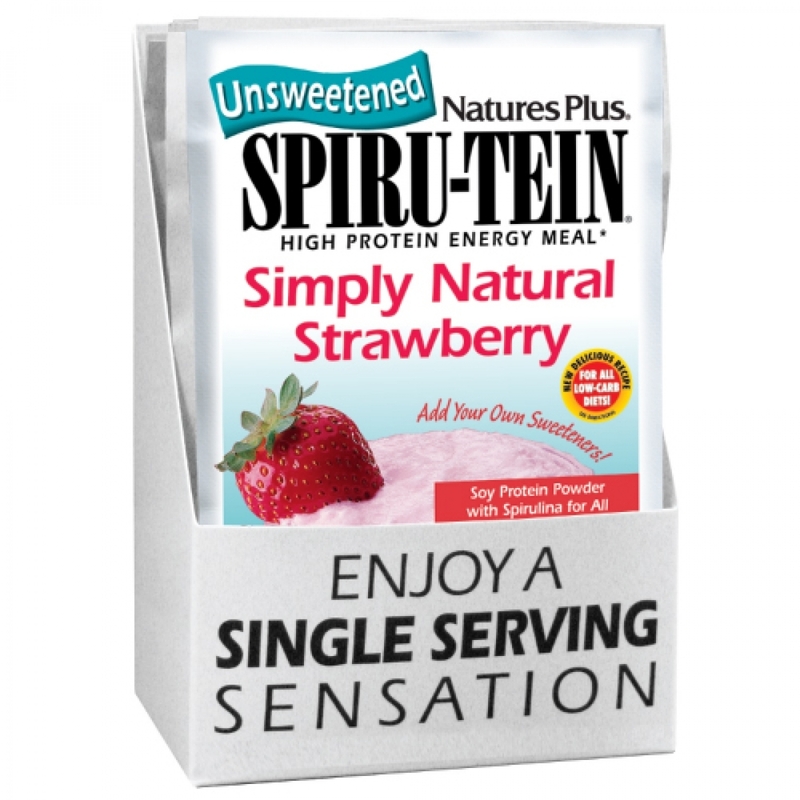 Fully imported and manufactured in U.S. by Nature’s Plus, SPIRU-TEIN is time honored and proven quality with an impressive history of loyal customer satisfaction since 1986. Superior patent-pending TRI-PART PROTEIN BLEND of rice, pea and soy. Soy protein from both fermented and non-fermented soy. 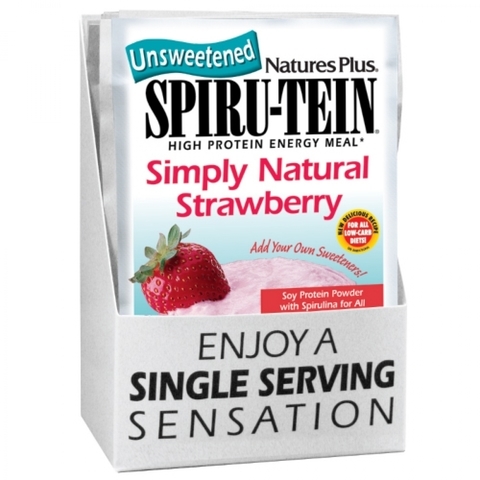 Who needs SPIRU-TEIN Simply Natural? With its highly nutritious and yummy creamy treat, SPIRU-TEIN Simply Natural is your best preferred companion during times where low carb and sugar free diet is required due to lifestyle or medical condition requirement. It is great as an energy booster with its high nutrition. A far better replacement of coffee, cola, energy drinks and other sugary boosters, it replenishes energy in a healthy way and balances insulin spike. Used before and after exercises to help build and tone lean muscle mass. Ensures nutritional needs are met and absorbed with SPIRU-TEIN. In today's world where food are tainted and where we run on empty, it is crucial to provide our bodies with quality nutrition. Fighting starvation and deprivation is like fighting against the tides, our body naturally craves nutrition. SPIRU-TEIN satiates and nourishes, making the path to fitness a smooth journey. Use SPIRU-TEIN to ensure nutritional needs are met, especially for those who often skip meals, on a dietary regime or have irregular meals. SPIRU-TEIN is convenient and fast to fit into your busy lifestyle. Use it as a meal replacement, an added supplement or for an energy boost. SPIRU-TEIN is also suitable for vegetarians, those with lactose and gluten intolerance. It is a source of high quality protein and dairy replacement. Its low calorie content and high nutrition makes it a great meal replacement for weight loss and maintenance. Replaces it with a meal or two depending on weight loss goals for full nutrition and satiety from high quality protein. Why do you need SPIRU-TEIN? Are you at risk? Find out more about the nutrition aspect for your consideration. 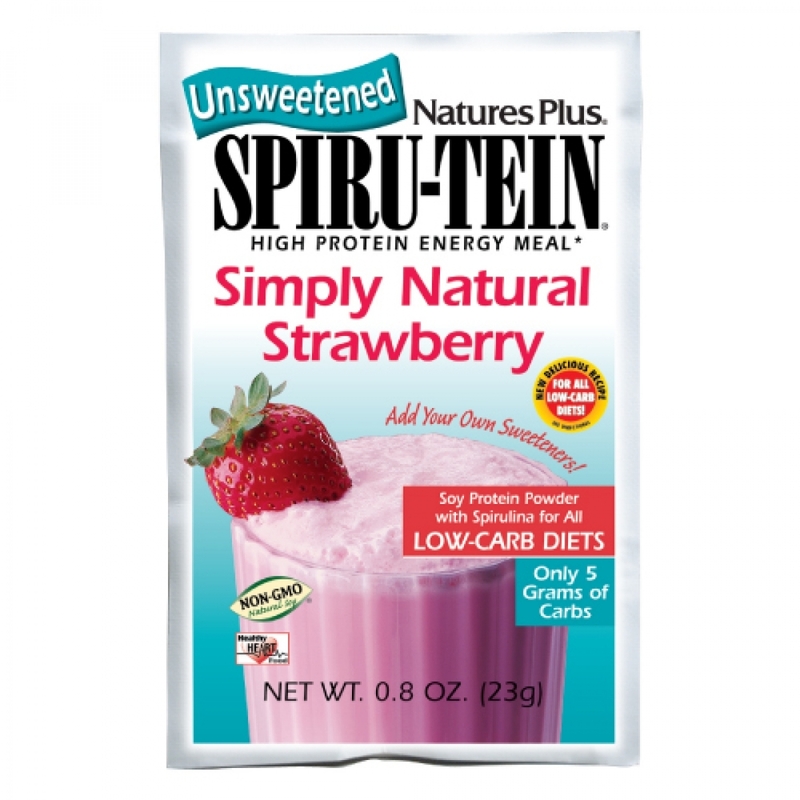 How to consume SPIRU-TEIN Simply Natural? 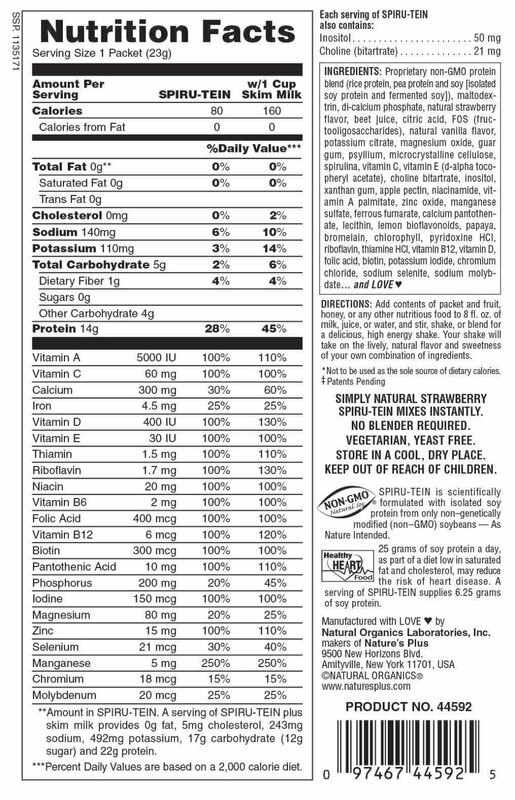 Add one rounded scoop (scoop included in can) of Simply Natural Strawberry SPIRU-TEIN powder and fruit, honey, or other nutritious food to 8 fl. oz of milk, juice or water, and stir, shake, or blend for a delicious, high energy shake. Your shake will take on the lively, natural flavor and sweetness of your own combination of ingredients. *Not to be used as the sole source of dietary calories. SPIRU-TEIN is not suitable for patients diagnosed with hypothyroidism. Always check with your doctor or medical practitioner for medical related advices. Gluten free nutrition that’s delicious! Nature’s Plus has an unmatched 45-year history as a trusted supplier of natural vitamins and nutritional supplements. For over 40 years, Nature's Plus® has worked hard to become the "gold standard" among natural vitamin and nutritional supplement suppliers. Their commitment to excellence has earned the loyalty of thousands of natural whole food products retailers and millions of their customers across the U.S.A. and the world.